Expandable Memory: up to 8GB. Magicon Impex Private Limited is an importer & distributor of innovative products & services, was established in the year 2004. Magicon forayed in Mobiles Phones on its own brand in 2008 with a motive to offer "Rich on Features, Value for Money" mobile phones to Indian populace, while technical team ensures best of quality parameters, all statuary compliances are adhered to Magicon has delivered steady and sustainable results with a turnover of Rs 100 Cr. and has sold over 3 lakh units in Q4 of 2011. Magicon has its strength in R&;D, distribution, service and business know how of India market, which has created a strong value chain. Right from the start our engineers have used cutting edge technology to create highly desirable products. The Range of product covers entry level color phones with FM to High-end Touch screen, Triple SIM (GSM- CDMA-GSM) phone & QWERTY keypad phones with features like Track Pad and WIFI connectivity. Customer service has been the area of prime focus and therefore service centers are setup prior to selling devices in any region. Currently, Magicon has a network of 320 Level 1,2 and 3, service centers across India. Today, Magicon is present in 18 states of India covering entire North, East, South & few states in West. Also, Magicon has 6 branch offices in Noida (UP), Gurgaon (Haryana), Mumbai (Maharashtra), Ahmedabad (Gujarat), Jaipur (Rajasthan), Kolkatta (West Bengal) & Head office at Delhi. Magicon has a strong distribution network covering 350 districts with 391 distributors. To support this vast distribution setup, Magicon has a team of over 100 professional's in Sales & Marketing. The team is working diligently to be a top player in the industry and its performance is testimony of the hard work put in. 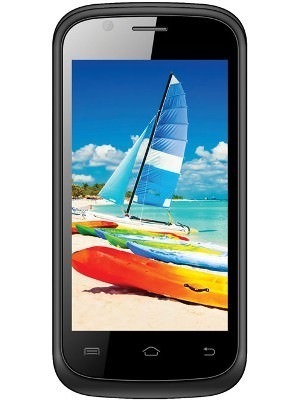 Since the inception of mobile phone business in 2008 Magicon has launched over 85 models with a variety of features.